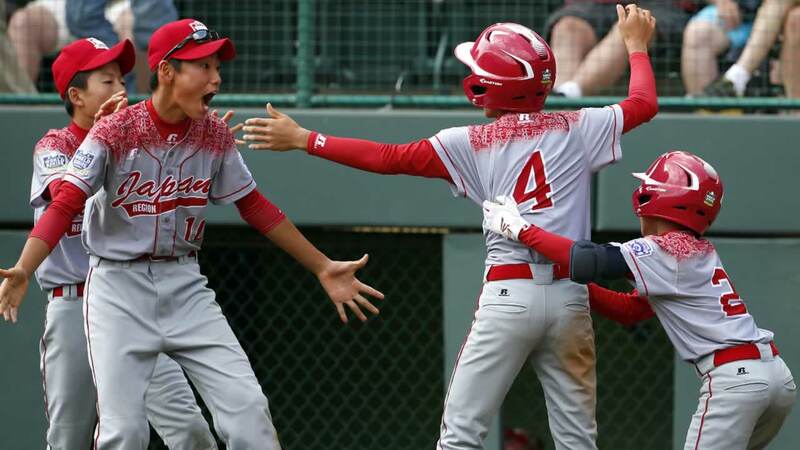 SOUTH WILLIAMSPORT, Pa. -- Yugo Aoki singled for Tokyo's first hit in the seventh inning, and then scored on a fielder's choice to help Japan beat Mexicali, Baja California, Mexico 1-0 on Saturday for a spot in the championship game of the Little League World Series. The run came home when Mexico was unable to turn a double play on a bases-loaded ground ball up the middle by Koki Jo. It was the only offense during an impressive pitching performance for Japan's Kabu Kikuchi and Mexico's Armando Verdugo. Kikuchi gave up just four hits while striking out 10 batters, while Verdugo also struck out 10 and gave up just two hits, both in the extra frame. Tokyo also beat the Mexican team 3-1 early in the tournament. Tokyo, the international champion, will play the winner of the U.S. championship between Pearland, Texas and Lewisberry, Pennsylvania on Sunday for the World Series title. Tune in as Pearland, Texas takes on Lewisberry, Pennsylvania in the Little League U.S. Championship game at 12:30 p.m. Saturday on ABC7.